As drivers in the market for an SUV compare the latest models, they may wonder what the 2016 Toyota Highlander standard features include. Will consumers get the amenities they’re looking for onboard the Highlander, or does a competing vehicle like the popular 2016 Honda Pilot deliver more for the money? Come along with us as we explore the standard offerings of these vehicles side by side and reveal which one offers the most value for the price. Will the winner surprise you? In terms of cost, the Highlander weighs in slightly more expensive than the Honda Pilot at the base-model level. The bigger difference comes into play when comparing the standard features offered for that starting price. When it comes to amenities, once again the Pilot comes out on top. 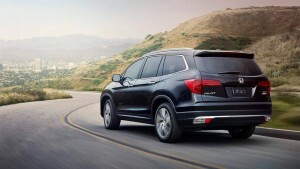 Various features come standard in the Honda Pilot for the base price that the base-model Highlander does not offer. Included among them, the Pilot features standard front active head restraints and push-button start. Drivers can further explore the exceptional amenities found in the 2016 Honda Pilot at any Central Illinois Honda Dealers location. Visit any of our affiliated dealerships or contact us today to learn more about the Pilot’s offerings and to take this outstanding SUV for a test drive. 0 comment(s) so far on Do the 2016 Toyota Highlander Standard Features Offer Everything Drivers Want?